Alexi has a recording studio and needs a website where people can book his two rooms. 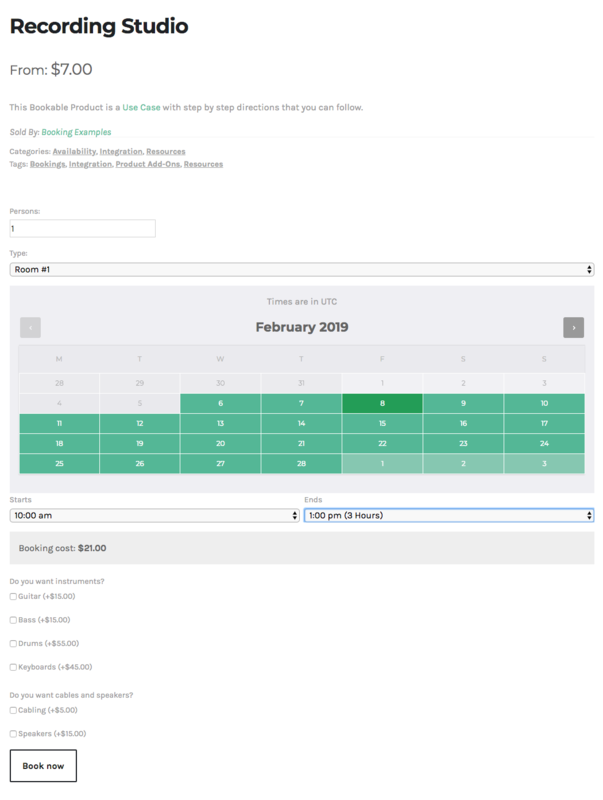 These instructions assume you have already set up a bookable product for Recording Studio, according to steps outlined at Create a Bookable Product. 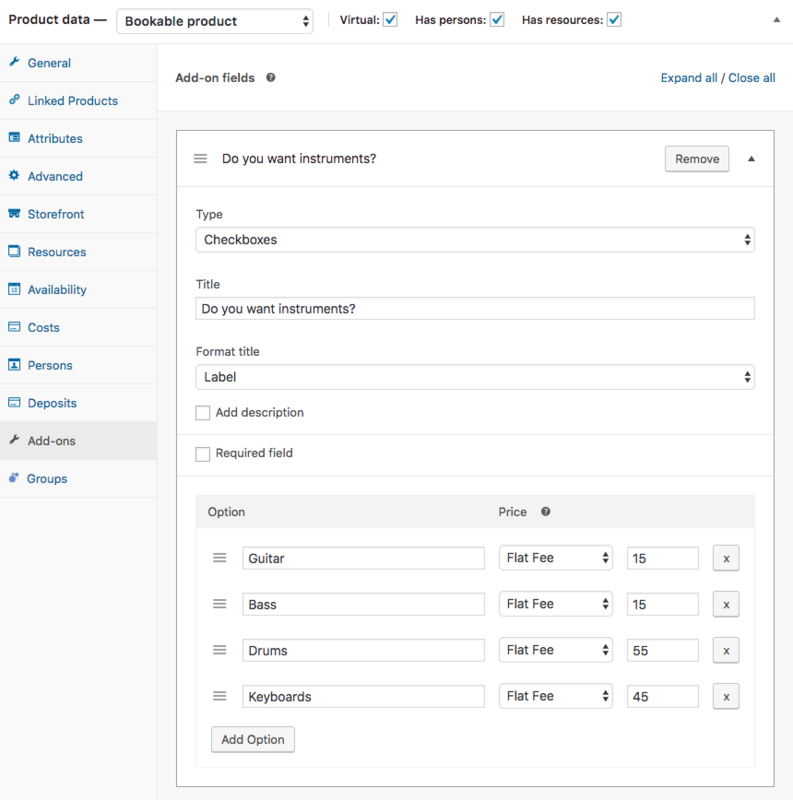 Go to WooCommerce > Products and select the bookable product for your recording studio. Tick the box for Has Resources. A Resources tab opens in the left-hand menu. 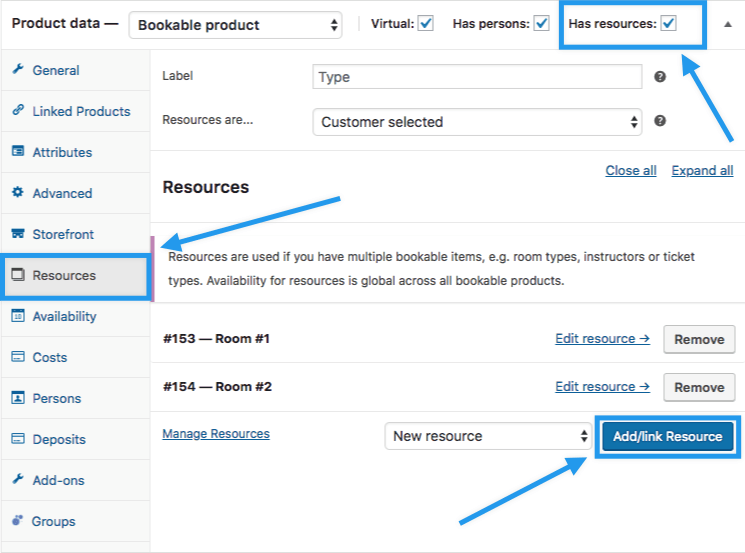 Select Add/link Resource to add two rooms as resources. Name your resource (e.g., Room 1 or Studio 1) when the window opens, and select OK.
Repeat steps #3 and #4 to add another resource (e.g., Room 2 or Studio 2). Select Manage Resources. 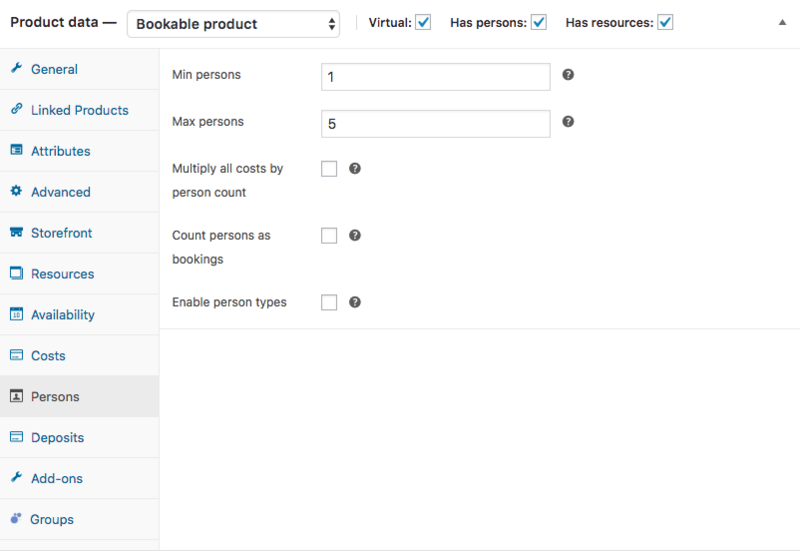 A new browser tab opens and shows you the Bookable Resources you created. Select Room 1 or hover over Room 1 and select Edit. Configure the room as shown. Update to save. Select Room 2 or hover over Room 2 and select Edit > Add Range. 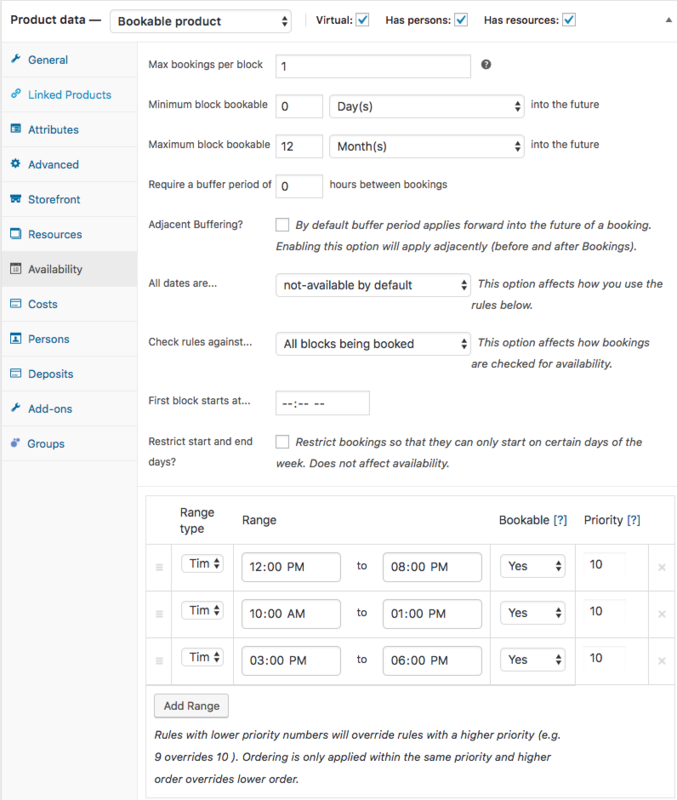 Configure the room as shown so it cannot be booked on Saturday. Update to save. 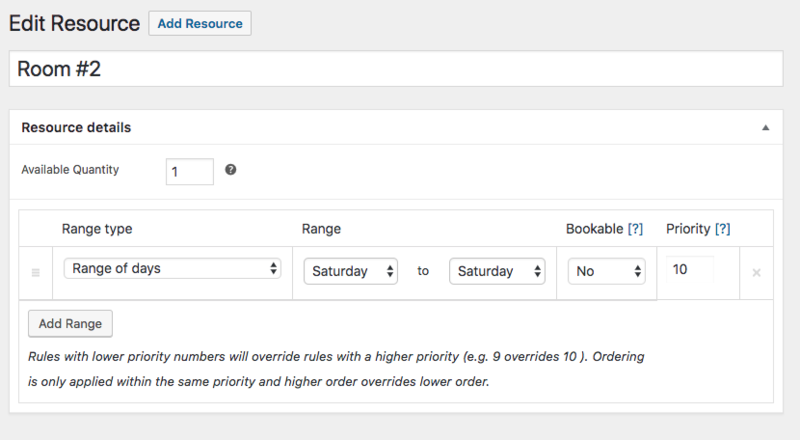 Set the global availability for Sundays and public holidays in Bookings > Global Availability. They are closed those days, so rooms are not available. Save Changes. 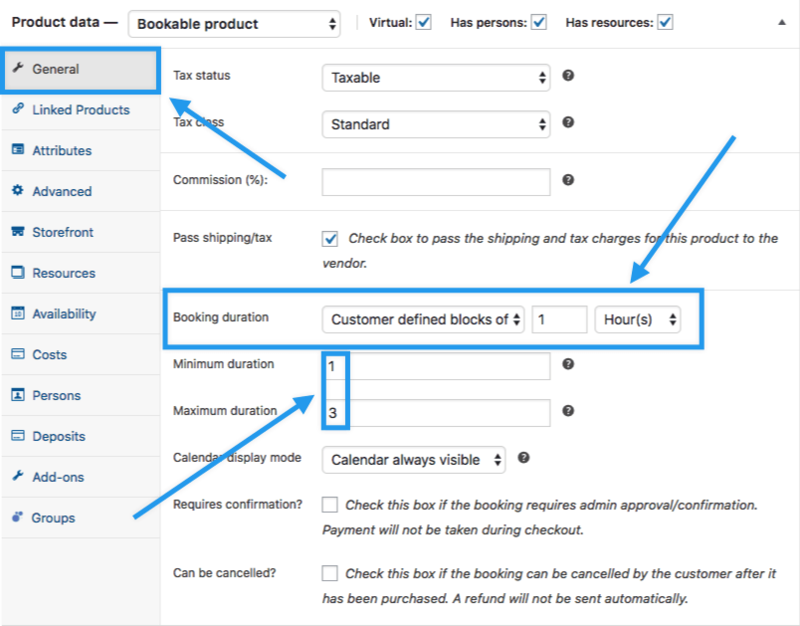 Return to the Recording Studio bookable product, and go to Product Data. 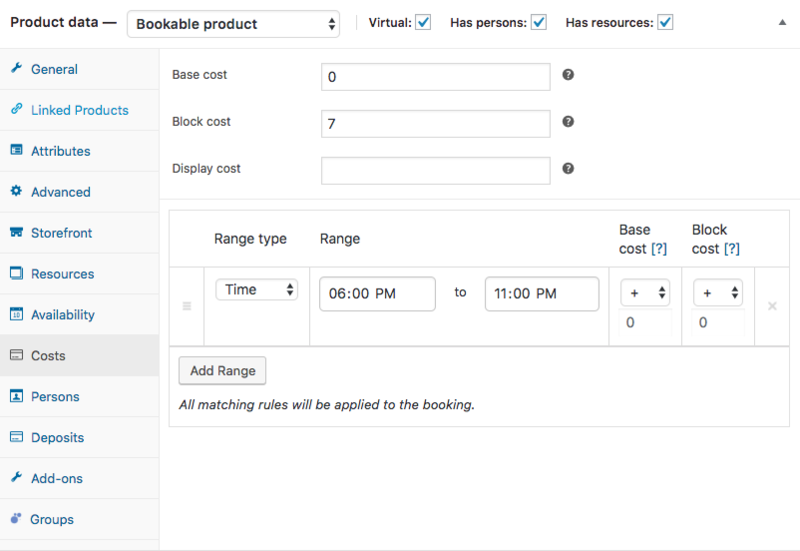 Configure the General, Resources, Availability and Costs tabs as shown. This is how it looks in the front end.